Maps and text on inside cover Previous edition: published as by Brendon Griffin and six others. 2014. 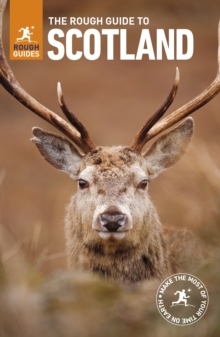 This fully updated The Rough Guide to Scotland is the ultimate travel guide to this wonderful part of the world. From the fairy tale capital of Edinburgh to the remote glens of the Highlands, Scotland has something for everyone. The outdoors activities are simply unbeatable; Skye's Cuillin ridge offers staggeringly good hiking routes, while the mountain biking trails across the country are some of the best in Europe. The Rough Guide to Scotland covers the country's rich cultural heritage, from the legendary live music venues in Glasgow to the countless enlightening folk centres in the Highlands. The Rough Guide to Scotland contains more information than ever on where to eat and drink in Scotland, with detailed coverage of whisky distillery tours and advice on the best restaurants and pubs in the country.Whether you spend your time searching for ruined hilltop castles, hunting down mythical beasts in deep lochs or island-hopping around the Hebrides, The Rough Guide to Scotland has it covered.